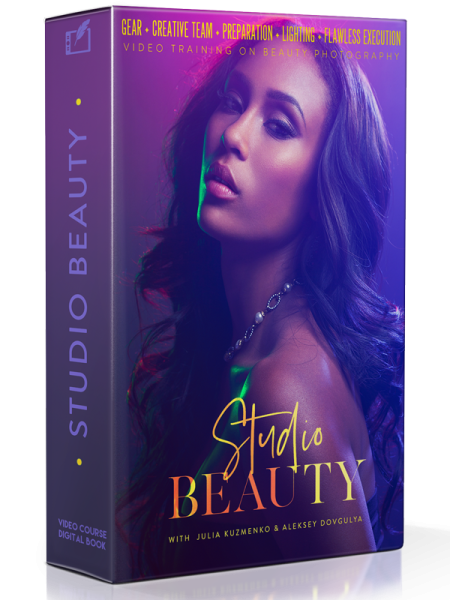 Go Pro: Studio Beauty video training was created for amateur and professional photographers who are interested in expanding into Beauty Photography, including both Beauty Portraits and Commercial Beauty. The authors, Julia Kuzmenko McKim (Los Angeles, CA) and Aleksey Dovgulya (Moscow, Russia), are internationally published commercial photographers with extensive teaching experience around the world. Our training consists of video segments (3 hours) and a digital book (104 pages). The digital book will guide you through the course. Please begin by reading the book and then watch the videos in the order of their appearance in it. 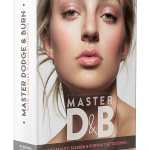 Though we do go over many important beginner subjects such as lens selection and understanding how strobes work, the majority of the material covers Intermediate to Advanced-level workflow and technique. We didn’t include 15+ hours of footage in our course, because we actually did the job of extracting only what’s important and packaging it into 3 hours of video, so you don’t have to waste your time trying to fish out the golden nuggets from dozens of hours of footage. 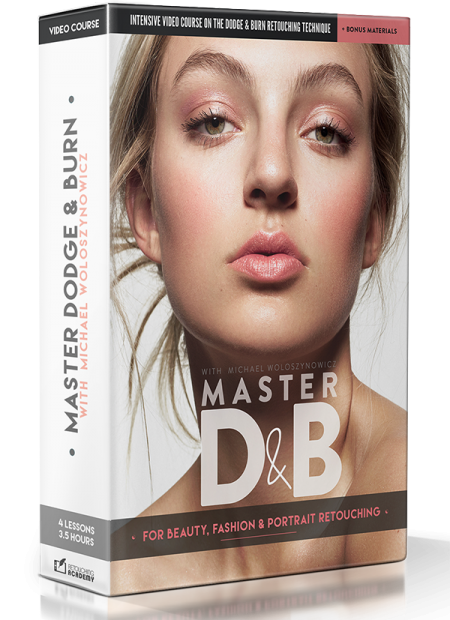 Artistic and technical guide for photographers interested in professional Beauty Photography. We always aim to shoot right in camera, so we teach how to produce images that will require as little post-production labor as possible through correct lighting and avoiding common mistakes. 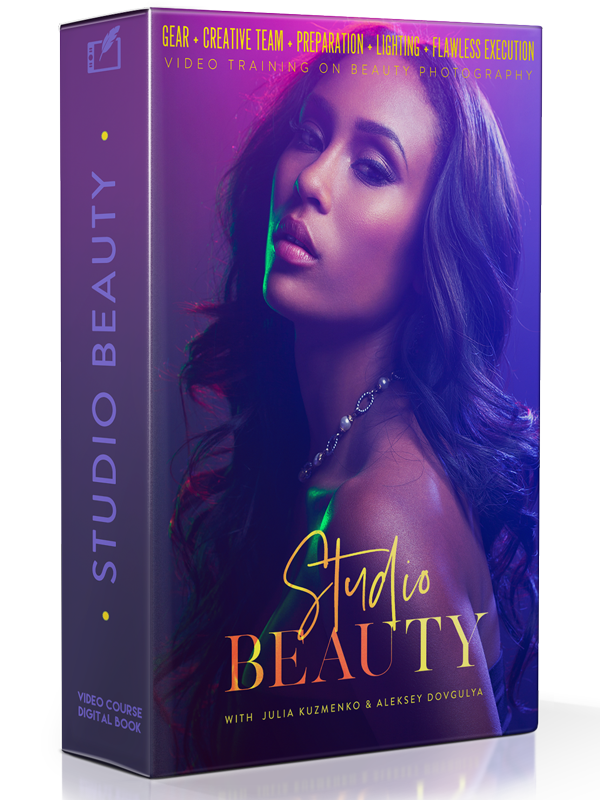 This course does not include the business or retouching side of Beauty Photography, but we do intend to create other courses that will cover those areas. Studio lighting doesn’t have to be difficult or confusing, if you introduce structure and a good starting point into your studio routine, and that’s what Aleksey and Julia start their studio lighting training with. …I am so annoyed that I was not able to find this INCREDIBLE course earlier. I had to spend so much time to find the same path that this amazing course gives. I spent years placing together all of the factors and in the end, this team was able to connect the dots and make a very easy to read book and an amazing video course. This course will truly give any beginner or aspiring individual a true direction into the beauty photography world. The world of the studio photography does open up and you are finally able to see the pieces of the dynamic and incredible world. If you get the course take your time and know that the tech might change but the core of how to deal with social interactions is priceless. 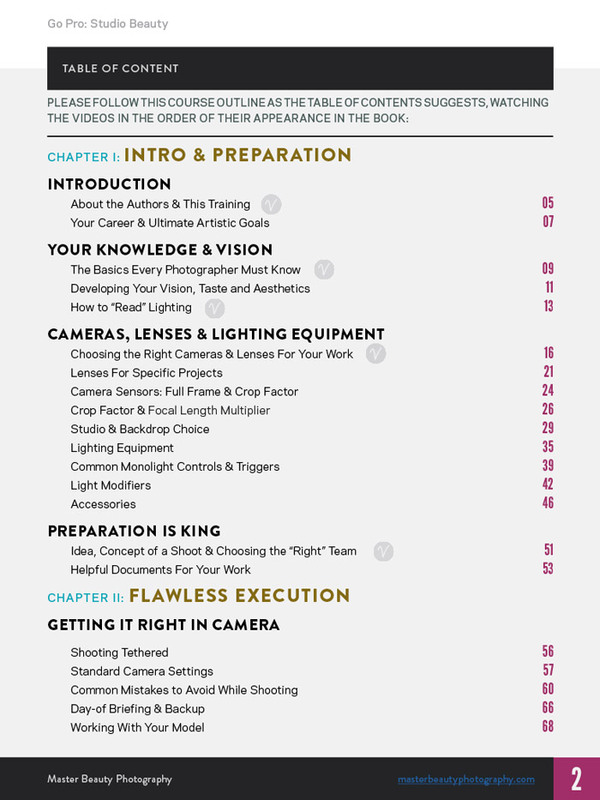 The “Camera, Lenses & Lighting equipment” section was, in my opinion, the most important section of the book. Two years ago, I spent close to $4,000 on equipment I thought I needed because of various blogs. I was buying equipment because I thought it would make me better, but I didn’t understand the practical uses of the products I was buying. Now I can make an educated decision on what equipment and accessories to buy. Our training consists of video segments (3 hours) and a digital book (103 pages). The digital book is the core of the course. Please begin by reading the book and watch the videos in the order of their appearance in it. 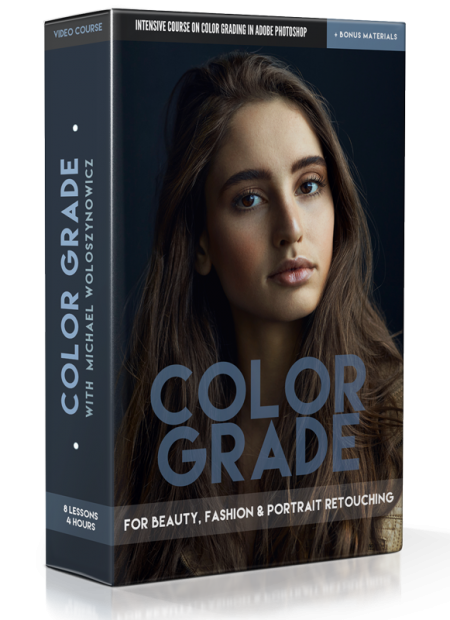 This is a digital product available for immediate download. Non-refundable due to the digital nature of the product. This looks wonderful, can’t wait for it. Hello julia out gopro end of October? Thank you Marie, sure! Please feel free to message me via the contact page. And the course is almost ready, just a final stretch! Please Julia, now is the time for it to come out. This has been my most awaited course EVER! please, please, Aleksey buddy, please bring it out for us. This would give you a position in heaven, I swear! Do this for us, one more push. Please! Working on it every day as much as my busy schedule allows it 🙂 Should be done soon! This is going to be beyond unmatched. Photography on a new level. Highly anticipated and EVERYONE knows that heart and soul is put into this product. The work is absolutely amazing. Julia will set a new bar with this tutorial. Hi Julia, is the Go Pro! video coming out this year? If it’s already out, is there a new link to purchase? hey julia i wanted to ask whats a rough price it would be selling at ? Hello. Just checking in to see when this will be available. Hi, i purchased a lot Tutorials from Pro´s working in the Industry. This course here is a really good investment in your future skillset. Some stuff i already knew but i could take away a lot of new ideas and concepts. Highly Recommended. Thank you so much, Arn! I’ve read the book in one breath and watched video without pause. It is very high quality training material and all recommendations for this book from me, it is truly exceptional. Thank you so much for taking the time to leave your testimonial, Igor! Sincerely love the way authors developed and structured information.. Concentrated, strait to the point and still covers all important topics. There is no 20 hours “behind the scene” video, just useful extraction.. I also appreciated valuable advices on professional development: not only technical part, but aesthetics, eye development, process organising.. Thank you so much for your wonderful review, Elina! I read the book and followed along with the tutorials when instructed in the guide. The first time I practiced the clean beauty setup I got 4 portfolio worthy images…just off of practicing. The material discusses preparing like it was a commercial project and that is exactly what I did. My work ethic towards collaboration, my attention to detail and my ability to read light on images has dramatically improved. The program gives you all the info you need to dissect and customize setups based on your personal preferences. 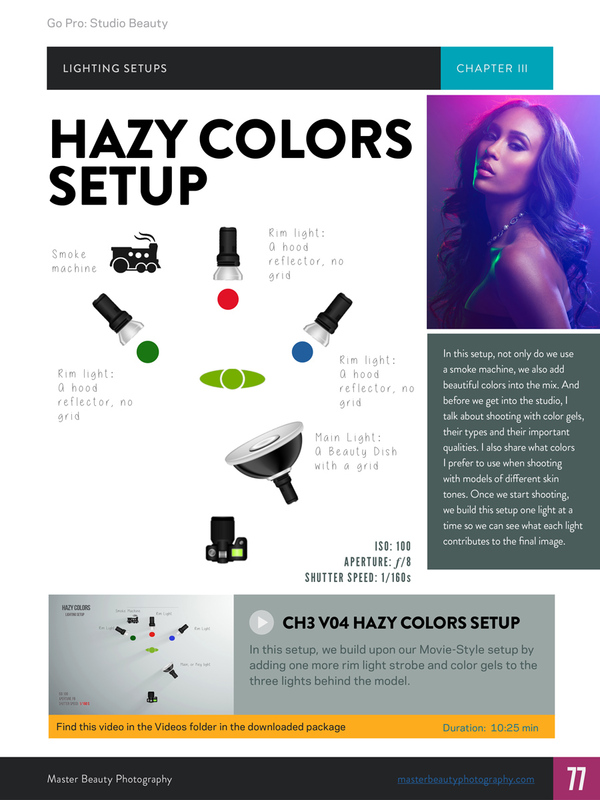 Many tutorials will give you lighting setups and you can follow or duplicate the effort in recreating images. 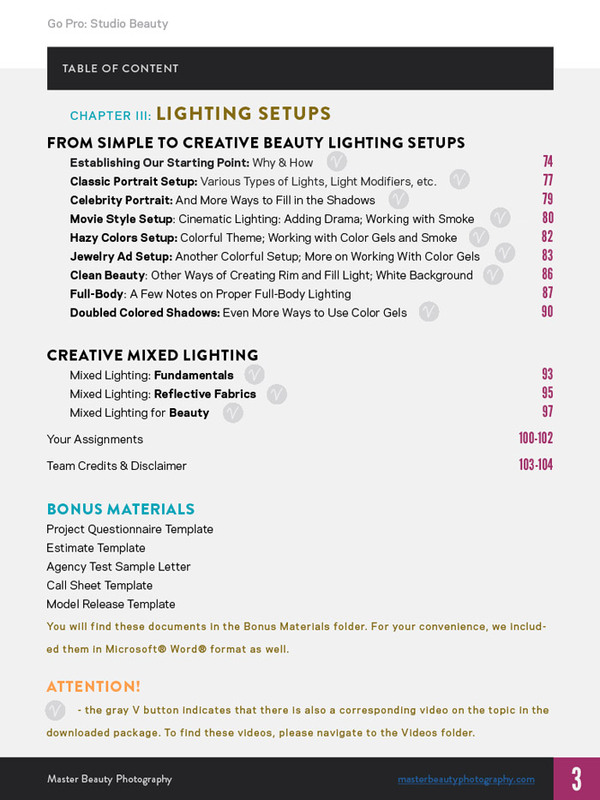 This program goes a step further…it teaches you lighting setups and explains the “why” you build each component of the process, explains the effect but more importantly teaches you to understand when “YOU” want to add or subtract light for your taste or client needs. This program will assist in developing your technical skills but with encouragement for use in your personal creative outlet. Thank you so much for your wonderful testimonial, Arayna! On behalf of our entire team: You made our day!!!! Thank you! And good luck with your further growth as a professional photographer! 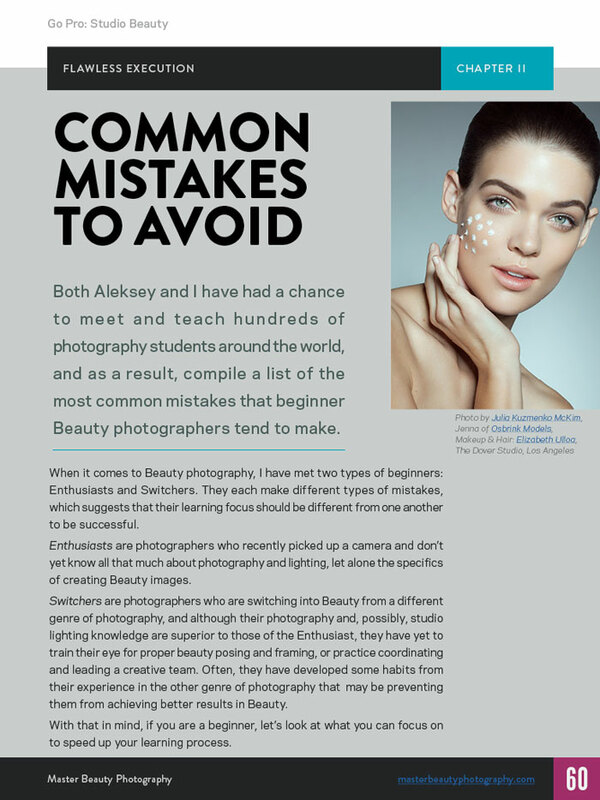 I am an experienced photographer – but I admire Julia’s approach to beauty photography and decided to purchase the course. It is a wonderful piece of knowledge for everyone. I can judge it both as a photographer as well as photography teacher. First of all, the book has brilliant schedule and methodology – from simple to the advanced techniques and parts. Even for experienced photographer all the basic are very good revision as well as the fact that often we forget that basics are responsible for 80% of successful photography. Moreover, step-by-step approach makes sure that there is no knowledge gaps that might impact the understanding on more advanced techniques. 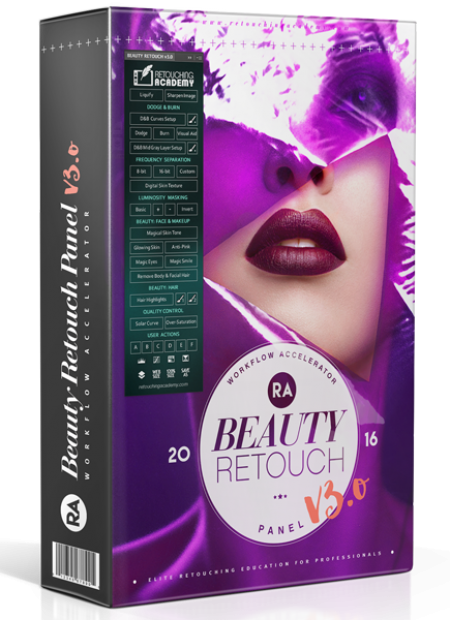 All materials are very consise…love it for absolutely lack of “bla-bla” parts 🙂 Great quality, interesting, full of useful information. I appreciate section about most common mistakes! Generally – for me it was wonderful inspiration and for every beginner – a training “must-have”. If I could have had it years ago, when I had been learning, I would have shorten my struggling-phase to minimum. Recommend to everyone! Thank you for taking the time to share your testimonial! Your very first video I’ve watched on YouTube was about Contrast Of Light. I was amazed by the simplicity and also the methodology you use to explain the concepts. I struggle with finding the right talents for my team and the actual planning of a photoshoot. It’s hard for me to get people on board and the main reason is the lack of preparation. I have nothing to show, no storyboard. For me, the chapter on Preparation is golden. I have just created my storyboard on Pinterest and will surely take advantage of all the docs in the bonus materials folder. Thank you for this course and for all the free amazing content you have created.